I am sitting on boat, looking at the sunrise of Athens going to Hydra. Then it hits me that a few days ago, I read an interesting blog post by another. There is no confirmation she is a Sales Professional but it was a sales related post. I have lost the link to that blog post. Hence, I am just going to get to gist of it. 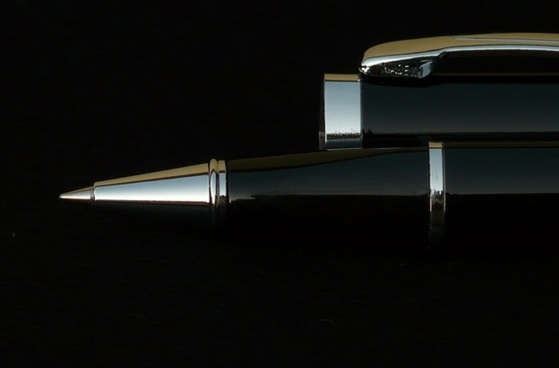 Many of us, Sales Professionals would be very familiar with the frequently asked “million dollar task ” of sell me this pen. So in the blog that I read, she was disussing the right reply for this task when asked at an interview. She broke down the supposed right steps to sell the pen. Beginning with importance of the pen to the interviewer (when was the last time the interviewer used it and for what purpose) and whom she has apparently sold the pen to. Finally, her choice of close is The Puppy Dog Close. For those who are unfamiliar with this close, allow me to explain. An easy example would be; a child wanting to buy a puppy at a pet store. His parents are very reluctant to get him the puppy. Thus, the kind store owner allowed the family to take the puppy home and have it for a few days at no obligation. If it is really not for them, they can return the puppy at no cost. This is a strong close with a chance to the break the “I am not buying” pact. It is always easier to part ways with things that you don’t already have, even for a few days. Its like years ago, having a mobile phone is a luxury but now most of us would say its a necessity. Or having a car is a luxury but when you already owned one, you cannot imagine being without it. However, it does not make an immediate sale. It was a very good attempt to figure why the pen could be a need and how it benefits the interviewer. Yet in my view, this was rather a weak response. Why? 1. The task was to sell the pen. In a sale, there has to be a transaction. Ideally, a profit. With a Puppy Dog Close, a sale is not done today. If the task was to close the interviewer, sure this would have been a good choice of a close. 2. Today selling is no longer the same as back in 1965. Prospects are well informed and well read. They are smarter buyers. It highly unlikely that one will accept a Puppy Dog Close without asking what is the catch. Hence, it won’t be the end of it. No doubt, I mentioned this close will allow you to break the pact. However, it also has more resistance today than it would years ago due to the change in consumer’s behaviour and knowledge. 3. A pitch has to have substance. Plucking random names out of the sky for whom you have sold it to, is a misintrepretation. This will cause a lot of trouble in reality. Yea, I may be picking too hard on this piece. However, you were given a product where you had limited knowledge on the product. The idea was to see how you could sell it with what you know. Not create alternative facts. It does not potray the best impression of you. You just positioned yourself as a bullsh!tter. There are even times when we are out in the field, we are actually binded by confidentiality clause with some clients. This is just my two cents. There is no right or wrong way to sell. We are learning everyday. So am i. Everyday. Maybe I would share my way of how to sell the pen soon. So keep a lookout.